Three hundred retweets later, this poster strikes me as a good lesson for advertisers and other groups trying to galvanize Internet virality: People respond to images that encapsulate a controversy and fill the viewer with righteous rage. But there’s also a lesson here about the frequent absence of context on the Internet. As it turns out, the poster isn’t new—not even close. 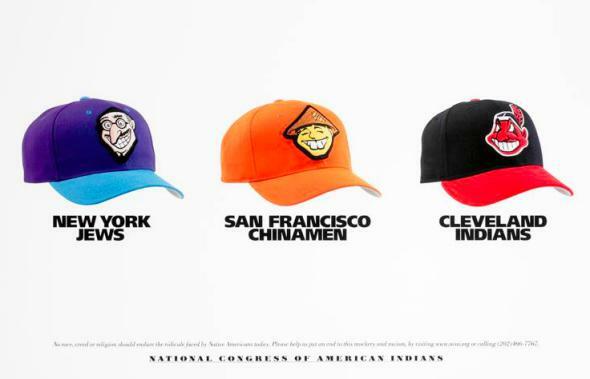 Jacqueline Pata, a spokeswoman for the NCAI, pointed me to the original poster, which was created for the NCAI by the advertising firm Devito/verdi in 2001. And Pata told me that her group likely wouldn’t consider running the same advertisement in 2013. “Those kinds of racial images aren’t even acceptable today,” she said.